Undercover officers and FBI personnel to monitor the event. Authorities were planning extra security, including additional patrols and high-tech surveillance, ahead of the 127th Annual Tournament of Roses Parade in Pasadena, officials said. More than 700,000 spectators were expected to attend Friday's event, lining up along Colorado Boulevard. Officials said there were no credible threats to the event but were implementing more security around the event as a precaution. Pasadena Police Chief Phillip Sanchez said while there is an unspecified threat, there wasn't any known threat to Pasadena or the Rose Parade. 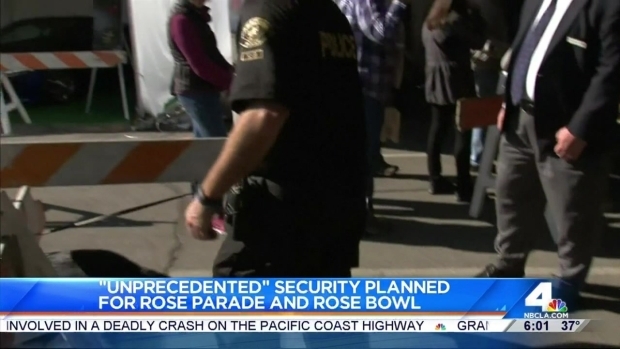 Some of the security measures in place for the Rose Parade included armed "rapid response" teams, radiation detection devices, bomb-sniffing dogs, surveillance cameras and license plate readers. Authorities planned extra security and patrols at the 127th Annual Tournament of Roses Parade in Pasadena. 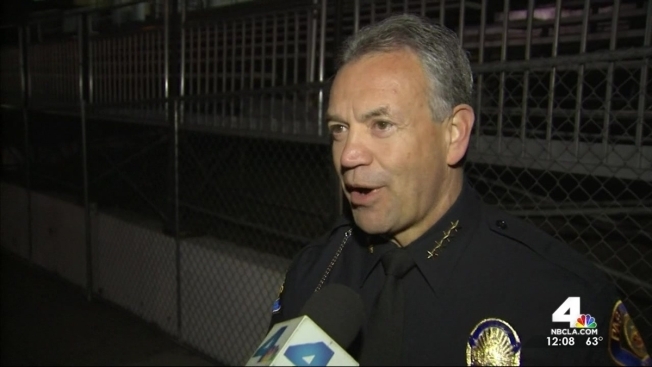 Rick Montanez reports for NBC4 News Today in LA on Thursday, Dec. 31, 2015. Sanchez urged the public to report anything suspicious they may notice at the event. "I would ask you to sound the alarm. Give the Pasadena Police Department or our law enforcement partners the opportunity to vet the concern you might have. Don't rationalize it. If it's concerning on your initial observation, then give us a call. We have the resources to run those to ground and make sure that they're not a concern," Sanchez said. Sanchez said dozens of undercover police officers and FBI personnel would be in attendance and monitoring the event on Friday.